This square art deco headband looks like it was taken straight from the set of The Great Gatsby and we are giddy about rocking it with our flapper themed outfits this season. 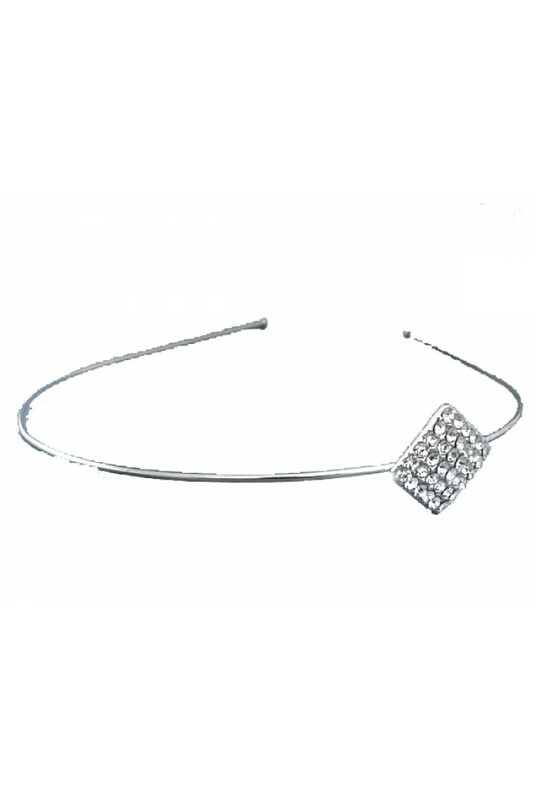 The cute square centre piece is adorned with diamante giving this small silver headband a kooky kick which means it can totally hold its own against a silver beaded flapper dress. We have been teaming ours with diamante jewellery for a big old dose of bling - perfect for parties, weddings and even a day at the races. 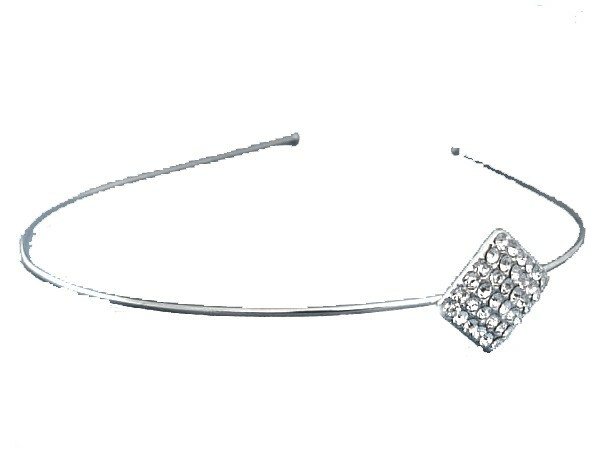 This is a thin silver Gatsby headband featuring a diamond shaped piece decorated with diamante stones.